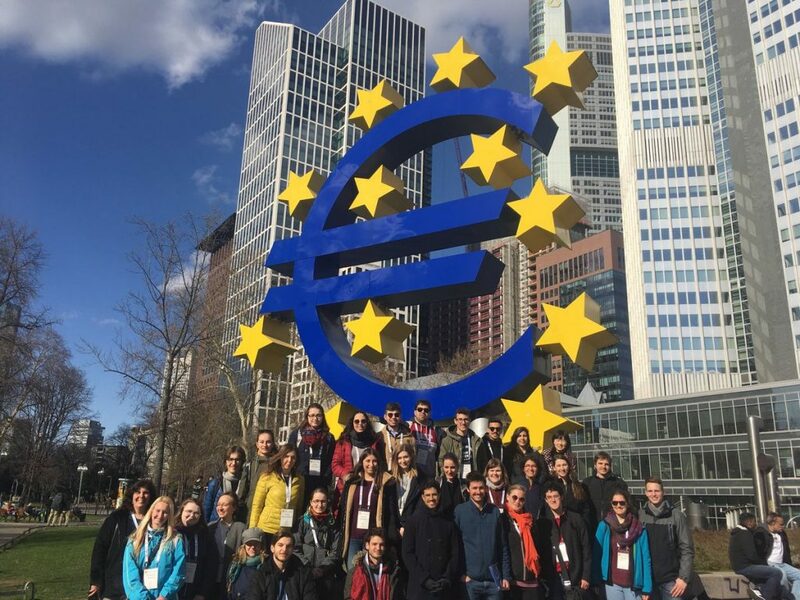 From 18.-30.03.2019, the MathCityMap team welcomes 30 students from the Universities of Lyon, Nitra, Porto, Lisbon and Frankfurt. In the two-week intensive programme, outdoor education and math trails with MathCityMap are theoretically developed and practically tested with students. All this happens in the EU Erasmus + project MoMaTrE. 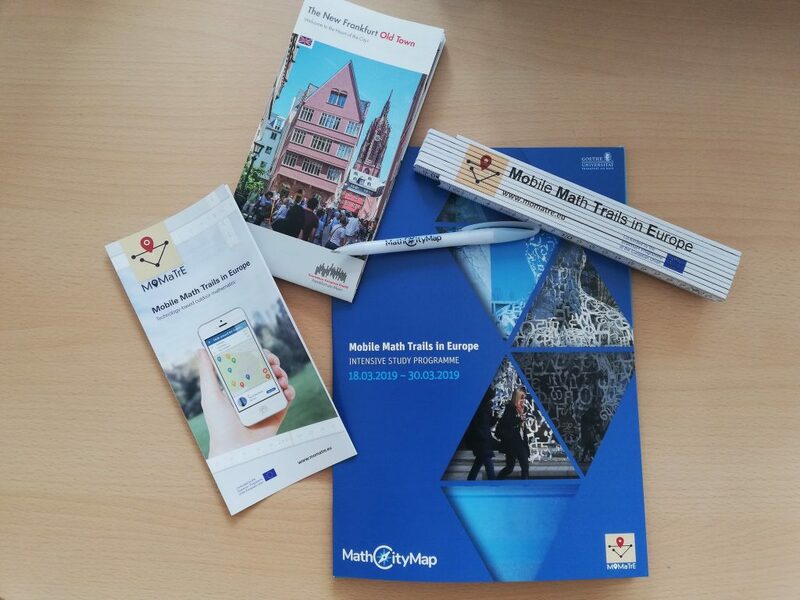 During best weather we went to Frankfurt city center to try a first math trail today.